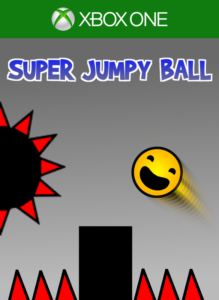 Super Jumpy Ball has been out on Xbox One for about 1 month now and it’s done better than I would ever have imagined, over 648 downloads and 221 copies sold. Thank you all for the support. I came up with a new idea for a game mode when working on the new game mechanics for the moving platform. It’s sort of blend between Ice Climber and Doodle Jump where the blocks are moving down while you have to climb up to avoid the spikes on the floor. As time passes the blocks will start to move faster and faster so keep up the phase while jumping. The Xbox One version has also received some additions to make it easier to change character and some additional things that improves the game in general. Check out the gameplay for Endless Survivor below. * New game mode: Endless Survivor. * New game mechanic, moving platforms. * Added 1 new level, total 35. * Improved: You can change ball with Right and Left Bumper Buttons on Xbox One. * Fixed Bug: Remove Ads button appears too far down on Windows Store. * Fix bug: At times a regular jump was performed instead of Wall Jump when player was on the wall.